Just because I’m not wild about GM’s interpretation of a “small car” doesn’t mean I’m not a fan of the genre. 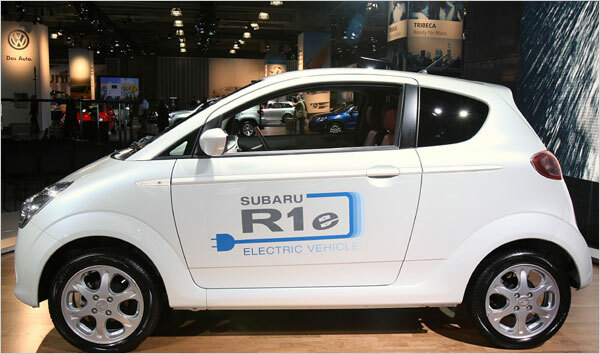 Being loyal Subaru enthusiasts, we’re looking forward to the R1e, whenever it gets here. And Fiat has lots of very neat looking tiny cars. I just don’t see how they’ll be re-badged as Imperials, Grand Voyagers, and New Yorker Boughams. You know, Chrysler once made a car called the “Howler”. So we can’t say that we hadn’t been warned.